If a private citizen had done the same thing, he would have been criminally prosecuted. But being a government agency means never having to say you’re sorry. EPA says it is barred from paying back 73 claims made against the agency over the 2015 spill of 3 million gallons of wastewater from the Gold King mine in Colorado. That is, the corrupt Obama-Holder-Lynch Justice Department, ground zero of the swamp that needs to be drained in Washington. …concluded that claims — which the Associated Press said totaled $1.2 billion — brought under the Federal Tort Claims Act cannot be legally compensated by EPA. Cannot be legally compensated! Got that? The EPA would really like to repay the innocent citizens whom it harmed through its grotesque negligence, but it just can’t. Barack Obama’s Justice Department won’t allow it. The FTCA “does not authorize federal agencies to pay claims resulting from government actions that are discretionary — that is, acts of a governmental nature or function and that involve the exercise of judgment,” EPA’s notice says. So the EPA claims that its breaching of a wall at the mine that allowed three million gallons of toxic liquid to flow into the Animas River was an “exercise of judgment.” Meaning that they did it on purpose? No. They mean that deciding how to approach the cleanup of the Gold King Mine required some judgment. Well, sure, like everything else. Should I put my left foot forward first, or my right? It’s a judgment call! I have some experience in this area of the law, in cases involving $100 million to $200 million in damages, and I think the EPA’s argument is a bad joke. 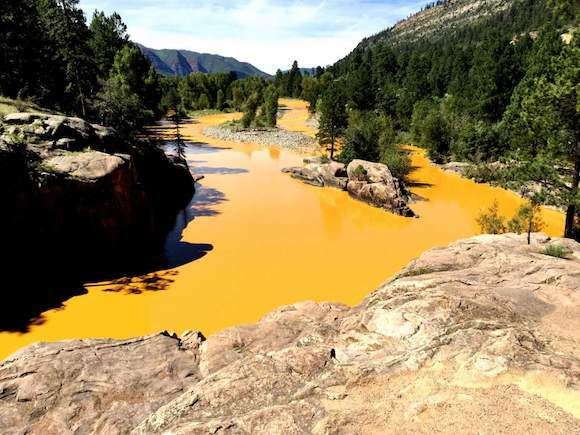 The Gold King Mine fiasco was not an exercise of discretion or judgment by the EPA, it was gross negligence at the operational level, pure and simple. The EPA will lose when the case goes to court. Meanwhile, with the Obama administration winding down, the purpose is delay. EPA says claimants can go to federal court within six months. And then spend years litigating. In the meantime, the responsible EPA officials, instead of being criminally prosecuted as they would have been if they worked for private companies, will go on their merry way. As Politico points out, the other avenue of resolution is Congressional action authorizing compensation for victims of the EPA’s negligence. That likely will happen, with the causes of the disaster being swept under the rug. The Environmental Protection Agency is the ultimate in incompetent bureaucratic arrogance. If Donald Trump wants to change Washington, the EPA is a great place to begin.